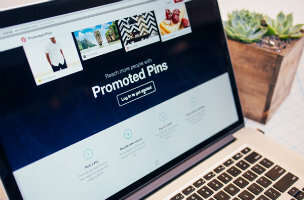 Pinterest announces promoted pins and enhanced analytics. Twitter buying native advertising firm. These stories, and more, in today's Morning Social Media Newsfeed. Pinterest continues to march toward a valid and sustainable business model. Thursday, the startup darling announced two new tools for businesses, including DIY promoted pins and improved analytics. TIME The company will begin offering self-service ads through online auctions this month, operations head Don Faul told The Wall Street Journal. The ad units, targeted at small and medium-sized businesses, will allow marketers to bid to have their ads served against specific categories on Pinterest, such as fashion and home decor and pay on a cost-per-click basis. The Wall Street Journal/Digits A few brands, including Vineyard Vines and Shutterfly, have already tested the cost-per-click ads, which will be available to a broader group of marketers this month, Faul said. Pinterest is taking a page from larger Internet giants, which generate billions of dollars from ad platforms aimed at small- and medium-sized businesses. Mashable Pinterest also announced a new expanded analytics tool intended to provide better feedback on how company ads are performing. The analytics dashboard, which is rolling out slowly to all business accounts on Pinterest, includes data about impressions, clicks and repins for company content. Ad Age Given the slow and methodical way it’s gone about getting its ad business off the ground, the company’s recent haste is striking. Pinterest has raised $564 million since it was founded in 2010. Twitter has acquired Namo Media, a startup that’s supposed to help mobile-app makers plug “native” ads into their services. Twitter says it will integrate Namo Media into MoPub, the mobile ad company it bought last fall. Advertisers on Facebook will have some new toys to play with “in the coming weeks,” as the social network announced that brands running video ads will be able to choose video views as an objective for their campaigns, as well as take advantage of two solutions to direct Facebook users to additional content. All advertisers will be able to plan their campaigns using the traditional broadcast model of reach and frequency. Dropbox’s latest startup buy makes perfect sense — and it’s not just because the acquisition’s name also starts with “Drop.” The cloud storage company has acquired stealth messaging startup Droptalk, according to a Thursday blog post on Droptalk’s website. The Bowe Bergdahl exchange video released by the Taliban is the latest propaganda coup for jihadis on social media. Social media benefits jihadi groups because it is all about immediacy, not accuracy. If you’re tweet-obsessed, we’ve got a new tool for you: TwitterCounter, a website which tracks user’s Twitter stats, has launched a plugin that will let you analyze stats about your – or anyone else’s – tweets right on Twitter.com. The plugin, available for Chrome and Firefox, provides users with detailed analytics about their tweeting habits and recommendations for getting better engagement and interaction.